Staff great, location great, apartment roomy, dated but clean bathroom with great shower! 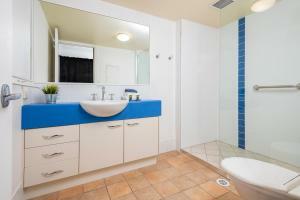 Staff were always willing to help and the property was well maintained. Would definitely come back. Central location and great in almost every way. Staff very nice, and I think new to their roles. Very obliging and always a smile. The room was beautifully set out with lovely views. Belaire exceeded our expectations. The staff were amazing and so accommodating. We wanted to stay another night and they jumped through hoops to facilitate it. Could not recommend them enough. Great location, walking distance great for everything needed. Lock in a great price for Belaire Place – rated 9.2 by recent guests! Belaire Place This rating is a reflection of how the property compares to the industry standard when it comes to price, facilities and services available. It's based on a self-evaluation by the property. Use this rating to help choose your stay! 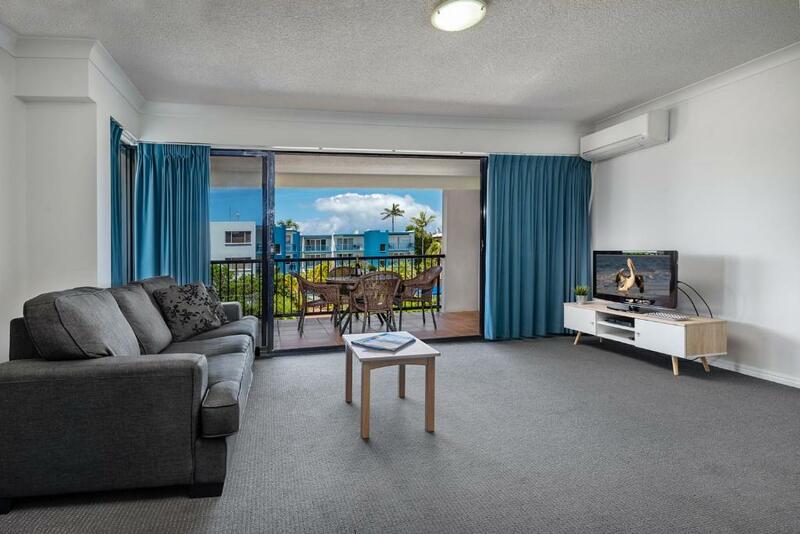 Located in the heart of Caloundra, 150 feet from the beach and overlooking Pumicestone Passage and the magnificent Glasshouse Mountains, Belaire Place offers spacious and bright motel apartments with large balconies. 1 GB of free WiFi, per device, per day is provided. Each apartment at Belaire Place has a bedroom, private bathroom and a living area including a kitchenette, dining area and a lounge area. The apartments have either garden, street or partial ocean view from the apartments. The swimming pool allows you to enjoy a refreshing dip without even leaving the complex. When you do, you will find a variety of cafes and restaurants within a short walking distance of Belaire Place. 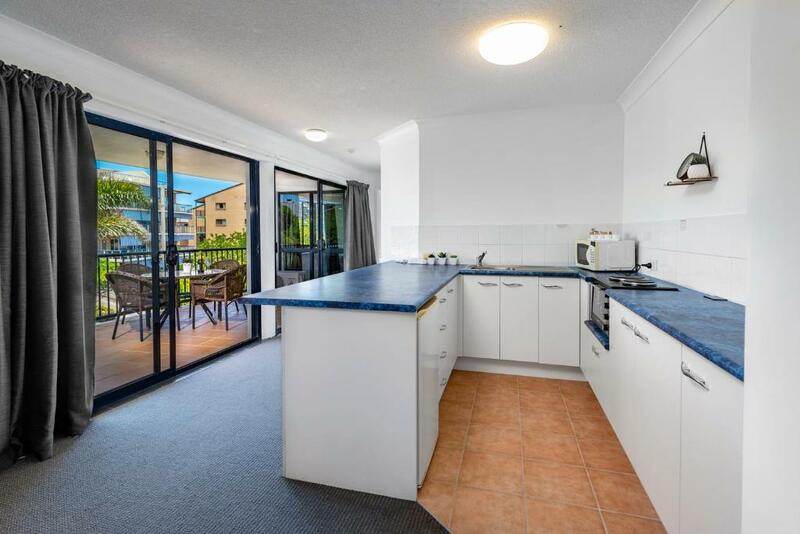 This property also has one of the top-rated locations in Caloundra! Guests are happier about it compared to other properties in the area. This property is also rated for the best value in Caloundra! Guests are getting more for their money when compared to other properties in this city. 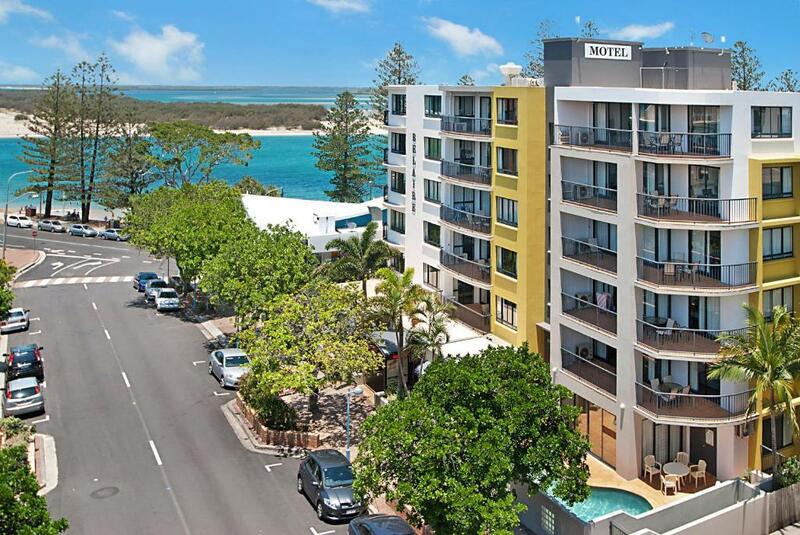 뀐 Located in the top-rated area in Caloundra, this property has an excellent location score of 9.8! When would you like to stay at Belaire Place? Each apartment at Belaire Place has a kitchenette, large lounge/dining area and a choice of a garden, street or partial ocean views. This apartment has a balcony and a sofa. This apartment features a balcony, stovetop and pool view. This apartment features a kitchenette, stovetop and air conditioning. This apartment features a balcony, toaster and DVD player. The Belaire Team work hard to ensure that Belaire Place is the best Motel in Caloundra, with friendly service, large clean and comfortable rooms and so close to all the best that Caloundra has to offer. Park the car and enjoy leisurely strolls along the beach, to the cafe's or the main street. It's all at our front door. We look forward to seeing you soon. Ron & Maree just love delivering an excellent guest experience. Both are full of beans and their energy is infectious. Both Ron and Maree have lived in Caloundra for the past 20 year raising a family, so they know a thing or two about the best spots to go, whether it be fishing off the foreshore of the beach, learning to surf, a paddle board on the passage, or just grabbing a great coffee there is so much to do. Maree and Ron really look forwad to making your stay such a great excperience. Belaire Place boasts the largest one bedroom motel apartments so close to Bulcock Beach. With local boutique bars, a plethora of restaraunts, great walking tracks, boat cruises, our famous Caloundra Sunday Markets and in summer we have the Friday Twilight markets all on our doorstep. You can do as much or as little as you like. A good time is assured with so much to do so close to Belaire Place. House Rules Belaire Place takes special requests – add in the next step! All children under 2 years are charged AUD 12.50 per night in a crib. All children under 16 years are charged AUD 28.50 per night for extra beds. Any additional older children or adults are charged AUD 28.50 per night for extra beds. Belaire Place accepts these cards and reserves the right to temporarily hold an amount prior to arrival. Guests arriving after 17:00 are kindly requested to inform the hotel in advance. Contact details can be found on the booking confirmation. Guests are kindly requested to state the total number of guests staying in the apartment, including all children and infants under one year of age, by noting it in the Comments Box during booking. You must show a valid credit card and photo ID upon check in. This credit card must be in the same name as the guest's name on the booking confirmation. No screens on the doors or windows. The lift was also very noisy. Our room 201 overlooked next door cafe which had very loud air conditioners and exhaust fans running from early morning until late at night. Very noisy even with all doors and windows closed. Refrigerator in our room very noisy even with bedroom door closed. Remotes for tv and air conditioner needed batteries replaced. Air conditioner was taped together with sticky tape. I actually booked it for my Mum and Dad for the weekend. And i must say they were so impressed. They loved the level 5 view the room had alot of space. But most of all the gentleman i think Rob? who works there. Was pleasant helpful and such a nice guy. Mum said she would stay again just because of his customer service. 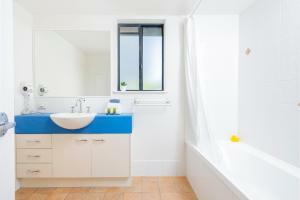 The unit could look a bit fresher with a little bit of paint, Nd the grouting in the bathroom could be a bit cleaner especially above the bath. I liked the size of the unit and the fact that I had an ocean view. The property was close to restaurant and beaches and I didn’t have to use my car to go anywhere. Having to move rooms. Better view but a less comfortable and smaller unit. Came for reunion, apartment was well located, spacious comfortable and well appointed. Friendly helpful staff, wonderful location - an easy walk to beach, good restaurants and shops, great value for money! Would have like to have had a air-conditioner in bedroom as it was very stuffy and hot. The air conditioner in main living area was not able to cool bedroom area. Great location to the beach and main street. Great balcony to seat and relax on. Friendly staff. We loved the large rooms, the view, the attentive staff, the amenities.....close to beaches, restaurants, shops.....we loved everything about our stay at Belaire.